Enter the estate's income for the tax year on lines 1 through 8. This includes interest income, dividends, capital gains and business income. For example, if the decedent had bank account that produced $2,000 of interest while it was in the estate and had a sole proprietorship that brought in $70,000 during the estate's tax year, the estate would report the $2,000 of interest and the $70,000 of business income. Total the estate's income from lines 1 though 8 and report the total estate income on line 9. In this example, add $2,000 and $70,000 to find the estate has $72,000 of total income. Calculate the estate's total charitable distributions. In order to be deducted on the estate's income tax return, the charitable donation must be made out of the estate's gross income, under the terms of the will, during the tax year, and to a charitable organization. For example, if the decedent's will stated that the interest that accrued on his savings account was to be donated to the Red Cross, the donation would deductible. However, if the will donated the decedent's car to Meals on Wheels, the estate income tax return would not include that donation because it was not made from the estate's gross income. Report the estate's adjustments to income, including charitable donations, on lines 10 through 15 on the Form 1041. Other adjustments to income state and local income and property taxes, fiduciary fees, attorney fees and interest paid. Report the total adjustments to income on line 16 and subtract it from the total income to find the estate's adjusted total income. Report this total on line 17. In the example above, if the estate incurred $6,000 in fiduciary fees, tax preparation fees and taxes, the estate's adjusted total income would be reduced to $66,000. Calculate the income distribution deduction for the estate using Form 1041 Schedule B. This deduction allows the estate to reduce its taxable income by the amount of income passed through to the beneficiaries. For example, if an estate pays $10,000 of its income to beneficiaries, the income is still reported on the estate's tax return, but it is deducted as income distributed. The beneficiary is then responsible for including that income on the beneficiary's tax return. Subtract the income distribution deduction and the estate tax deduction including certain generation-skipping taxes, if any, and the estate's exemption from the estate's adjusted total income to calculate the estate's total taxable income. If the estate had a loss, it can be carry back up to two years or carried forward up to 20 years. Calculate the total tax due with Schedule G of Form 1041. Report the tax due on line 23. Subtract the various tax payments made for the estate income tax to calculate the estate tax due with the return. For example, if the estate owes income tax of $6,000 and has made estimated payments of $5,800, the estate would have to include a payment of $200. If the estate paid too much, it would receive a refund. File the estate income tax return at the appropriate IRS office, depending on where the estate is located. 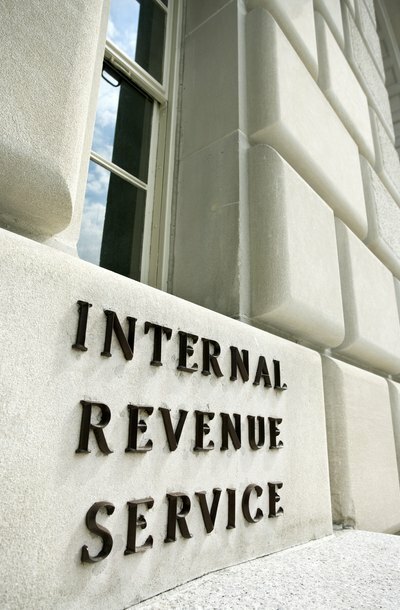 The addresses for mailing in the return are found in the Form 1041 Instructions. If the estate is a calendar year taxpayer, the tax return is due on the tax filing deadline. If the estate elects to be a fiscal year taxpayer, the tax return is due on the 15th day of the fourth month following the end of the estate's tax return. How Does an Estate Treat an IRA? Wrapping up the estate of a deceased person takes time and costs money, which ultimately detracts from the amount the beneficiaries receive through the probate system. Accordingly, beneficiaries may wish to keep track of the administration expenses incurred during this period. Texas law provides beneficiaries with certain rights to receive reports about these expenses, called accountings.